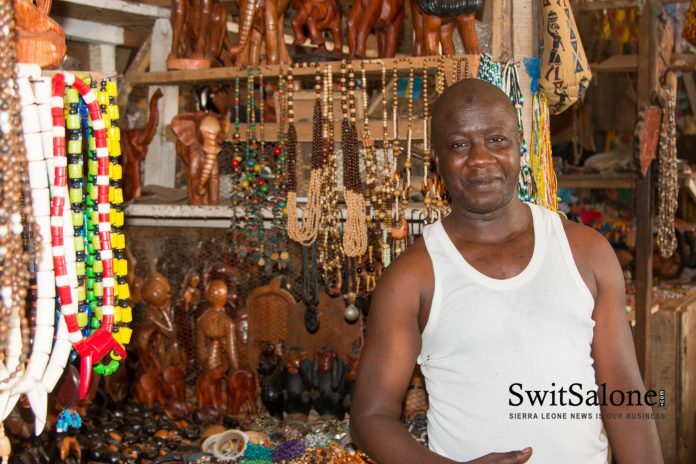 Big Market at Wallace Johnson Street in Freetown doesn’t just get its name because of its physical size, it is also the biggest artisans market in Sierra Leone. Alhaji Hassan Kamara is the “chief headman” of Big Market. His role as the head man is to give leadership for all the traders and serve as a channel between the traders and the Freetown City Council. 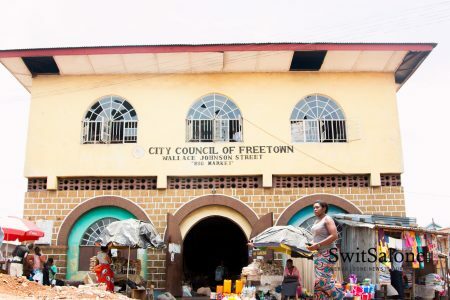 The market is managed by the Freetown City Council, which is the municipal government of the city of Freetown. 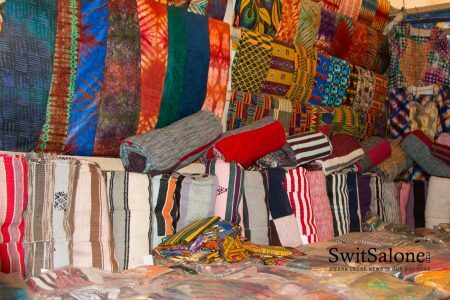 Traders pay dues to the City Council under municipal trading laws. A majority of the traders now at Big Market were once at Victoria Park when it functioned as a market. 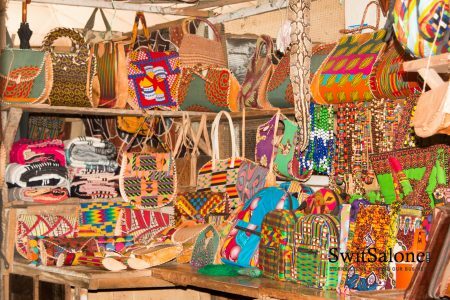 Big Market is divided into sections: hand made products, woven baskets, drums carved with wood and covered in Sheep skin, and textile all have their specific place. Christmas is the busiest season. However, Easter is not too far behind either, as there tends to be a fair amount of people home on holidays who buy wholesale artifacts and handmade products. Big Market draws all kinds of customers. They are male and females, of all ages, and from all works of life. Big Market also has carvings. 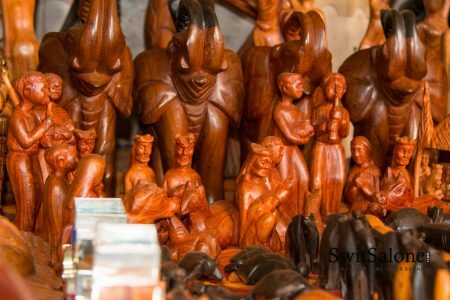 Small pieces for table tops and larger pieces like carves for wall hangings. Most of the carvings capture everyday rural life; women’s work and animals feature prominently. 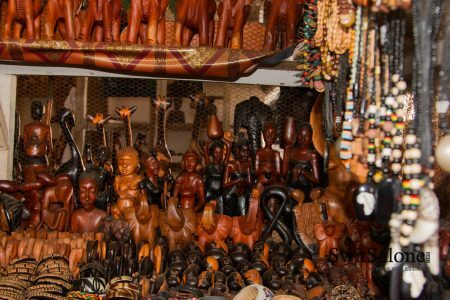 The carving are done in Freetown, Mount Aureol, on location, and also in Makeni. The types of woods used include mahogany, rosewood, and ebony ( a specific type of black wood exported from Mali). 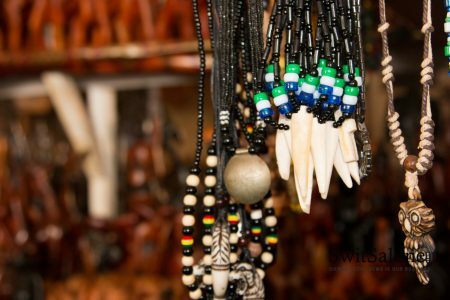 While almost all carvers are men, bead work – making necklaces, table mats, and so on are done by both male and female artisans. 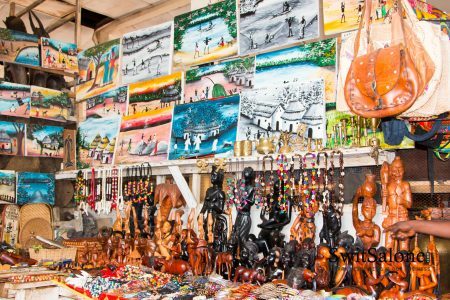 The priciest items at Big Market are life-sized carvings, they start at 2.5 million leone and can take up to 4 days to produce when ordered. 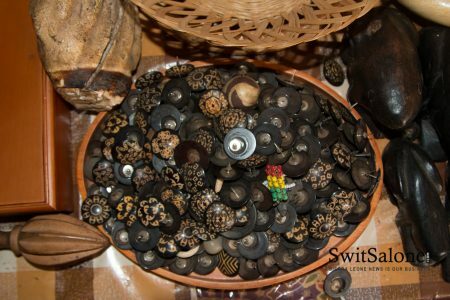 A vast majority of the products in Big Market are made in Sierra Leone, however there are some exports from countries like Mali – country batik, and bronze statues from Ivory Coast just to name a few. 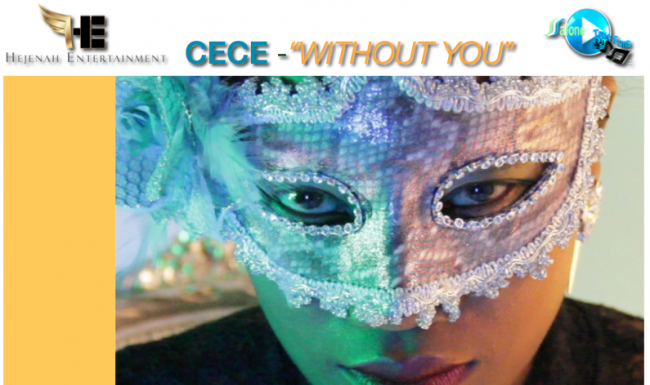 Looking forward to coming to Freetown for Easter? 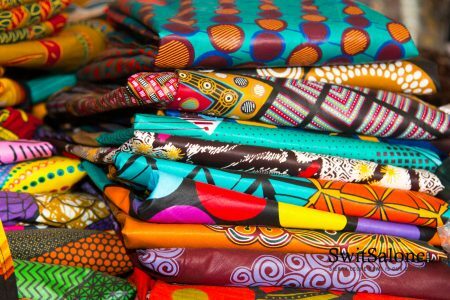 Looking for 100% authentic made in Sierra Leone products? Big market is open Monday-Saturday 8:00-5:30pm. 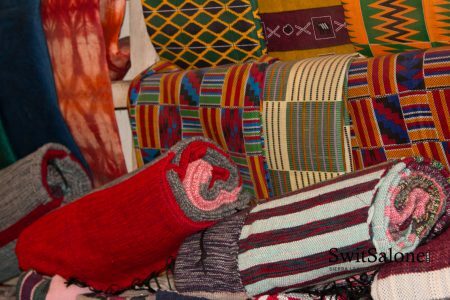 Stop by and treat yourself to various Made in Sierra Leone products! 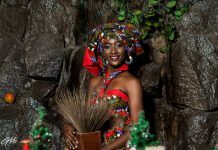 Nominations for Sierra Leone’s first Youth Excellence Awards now open!